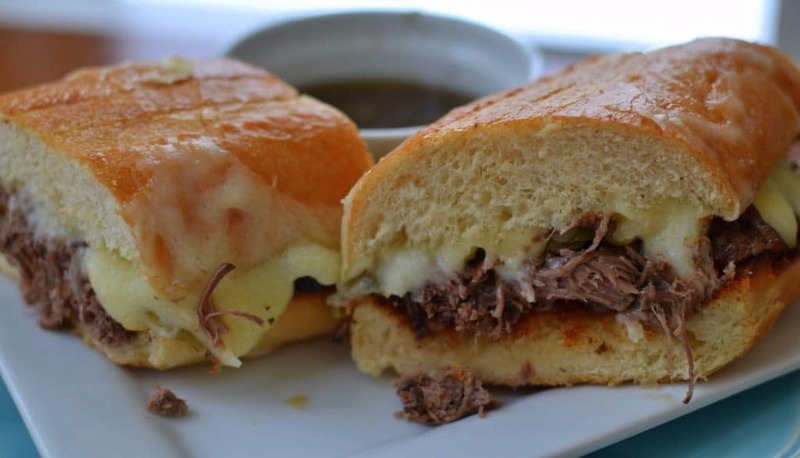 This Italian Beef recipe is so easy. It prepares in the crock pot while you are doing all the rest of your stuff. Love this recipe! This recipes is dependable. It is virtually impossible to mess up. You can prepare it early in the day and forget about it. Unless of course you walk back into the house and smell it. Then you are going to want to devour it! 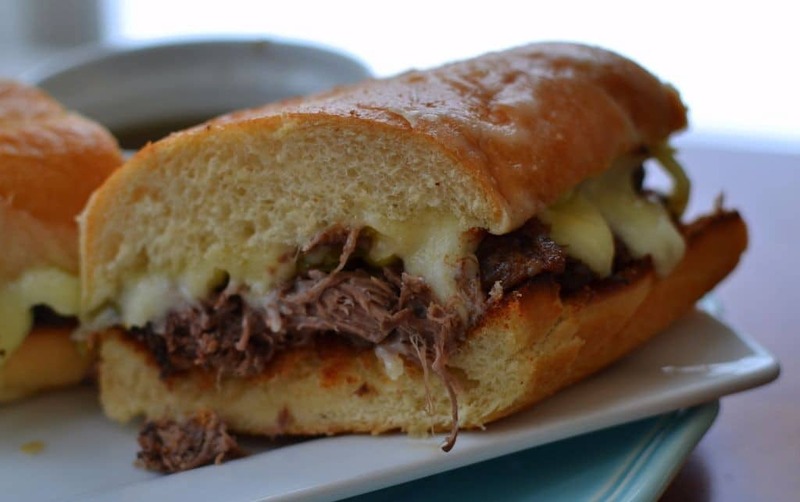 Toast some French bread and top with the slow cooked tender beef, the pepperoncinis, Swiss and Provel. Now you have yourself a little piece of heaven! Place roast in crock pot. Cover with pepperoncinis peppers (including the juice they are packed in), French onion soup, oregano, basil, garlic powder and onion powder. Cover, and cook on High for 6 to 7 hours. Shred with fork; removing fat and tough pieces. Return to crock pot with juice and pepperoncinis. Heat oven to 400 degrees. Cut loaves of bread in half. Layer with Swiss & Provolone. Place in oven until cheese is melted; approximately 3-5 minutes. 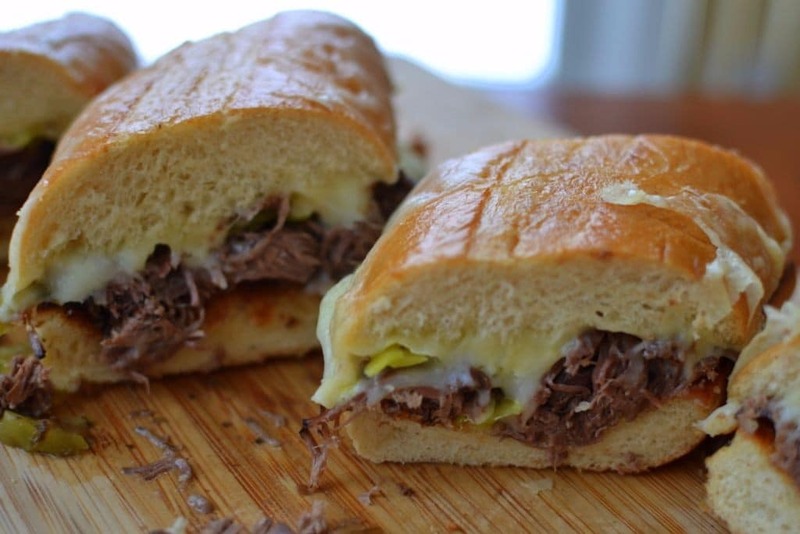 Top with shredded beef and pepperoncinis. my family LOVED this recipe! Thank you! We didn’t change a thing on the recipe! Thanks so much Cindy! So glad that you liked them! !